We are a fully licensed, insured and bond-able kitchen renovation contractor. The decision to renovate your kitchen is one of the best investments you can make to increase the value to your home. your kitchen is where you cook, eat, gather with family and friends. It is no surprise that kitchen renovations are at the top of the list of home improvement projects. Kitchens have become the centerpiece of the modern day home. Kitchens are now the focal point of everyday life and home entertaining. 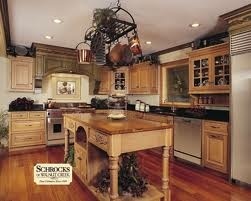 More than any other room, the kitchen seems to be where we spend more and more time while at home. A well design cooking and dining area can inspire you to spend more time preparing meals, entertaining friends and family while showing off your well honed gourmet skills. 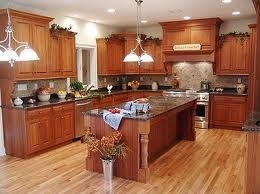 All Pro Bath and Kitchen specializes in beautifully finished and functional kitchens. We will help you turn your dream kitchen into a reality. All Pro Bath and Kitchen will provide you with an accurate and Free estimate. We will take care of demolition, plumbing, electrical, cabinets, flooring, tiling, painting and counter tops. You can sit back and relax and enjoy a stress free kitchen renovation. The staff at All Pro Bath and Kitchen have over 25 years of experience providing quality kitchen renovations. All Pro Bath and Kitchen's great reputation and years of kitchen renovations allows for most of our jobs to come from happy satisfied customer referrals.